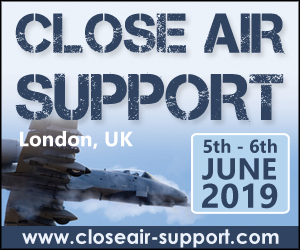 SMi reports: The past attendees list for Close Air Support 2019 has recently been released and is available to download on the event website. LONDON, UNITED KINGDOM, February 21, 2019 /EINPresswire.com/ -- SMi Group are pleased to host Close Air Support 20191, taking place on the 5th-6th June 2019 in London, bringing together military officials, international agencies and industry leading experts to discuss the vital importance of CAS capabilities and allied interoperability. Platforms such as the US A-10, the RAF’s Tornado and other platforms synonymous with close air support are now reaching the end of their highly successful lifespans. Next generation fighters such as the F-35 are expected to pick up the mantle. Due to the advancements in fighter technologies and developments in cockpit situational awareness, the 5th annual Close Air Support (CAS) is a crucial meeting for the CAS community to discuss and deliberate the future for CAS and Digitally Aided CAS. The list outlines the 2017-2018 attendees ordered by organisation, job title, country, and past sponsors, giving prospective delegates an idea of the international organisations they can expect to meet and network with at this year’s highly-anticipated event. Some of the Past Attending Organisations include: Alkan, BAE Systems Inc., Black Diamond Advanced Technology, Brazilian Aeronautical Commission Europe, Canadian Armed Forces, Czech Air Force, Data Link Solutions, Department of the Air Force US, Draken International, Embraer Defence & Security, French Air Force, German Air Force, German Army, Glenair, Inc., GMRE, Inc., Rheinmetal Defence, Royal Netherlands Army, Salentis, Singapore Armed Forces, U.S. Marine Corps, and many more. The industry-leading Close Air Support event continues to provide an excellent platform for the advancement of CAS ventures, both in the air and on land, continually striving to bridge the gap as increased agility, interoperability, and combat effectiveness develop at an exponential rate.